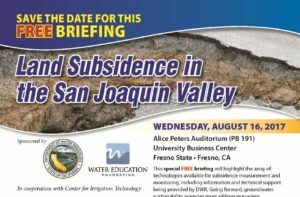 The California Department of Water Resources and the Water Education Foundation highlighted an array of technologies available for subsidence measurement and monitoring, including information and technical support being provided by DWR. Going forward, groundwater sustainability agencies must address managing subsidence in their management plans pursuant to the Sustainable Groundwater Management Act. 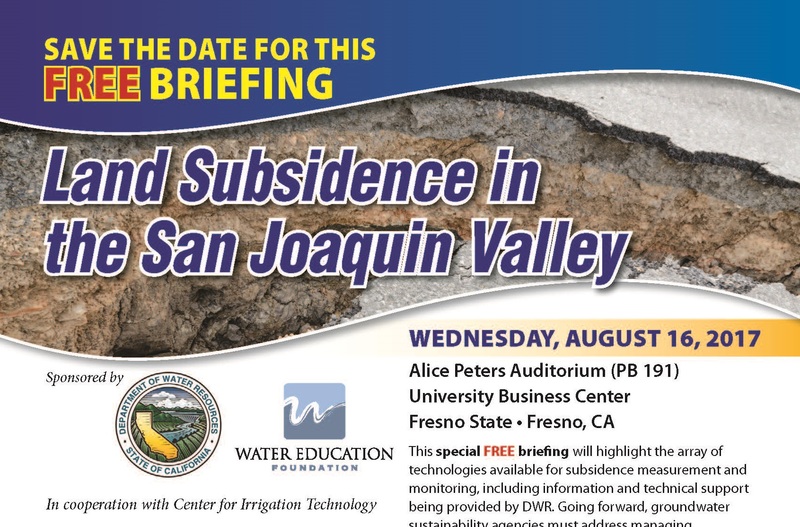 The briefing was held at the Alice Peters Auditorium in the University Business Center at Fresno State.